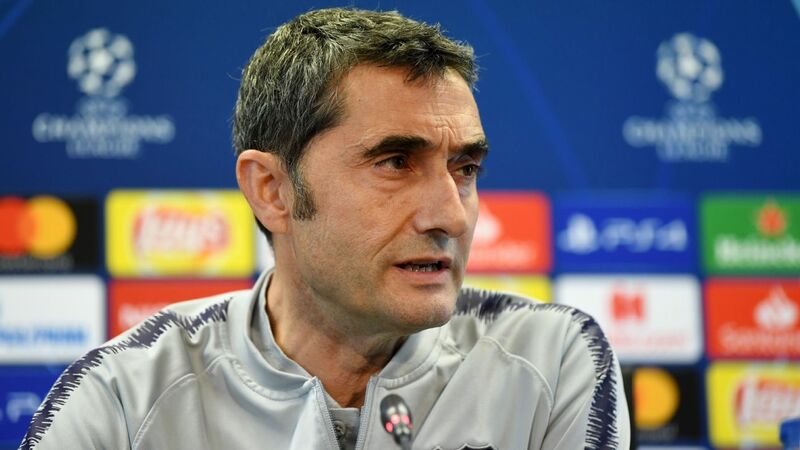 BARCELONA, Spain — Barcelona coach Ernesto Valverde has warned that Manchester United “have something special at the end of games” ahead of Tuesday’s Champions League quarterfinal second leg at Camp Nou. Asked whether forward Ousmane Dembele — who made his first start in a month at the weekend — could come in, he told a news conference: “It will be important who starts but also those that end the game, because Manchester United have something special at the end of matches. “The good thing is we play differently to PSG,” Ter Stegen said. “But of course United are very dangerous. “The result from the first leg is equally dangerous because it’s only a small advantage. We have to keep the ball, as we always do, because that’s how we play and how we understand the game. “United have really quick players. It will be difficult. You saw that in the first leg. They made things tough for us.